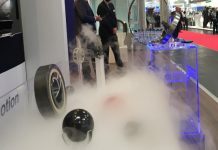 With more than 70 years of experience, the world’s largest industrial fair is, once again, host to all key technologies and core areas of industry in Hannover, Germany. 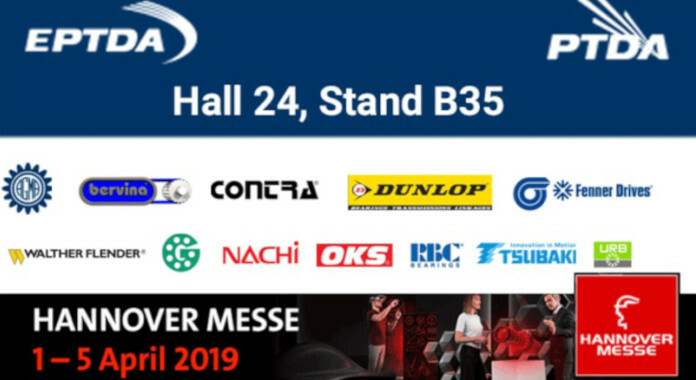 This year, the “industry’s global hotspot” as defined by Deutsche Messe, is featuring some 6,500 exhibitors, organizing more than 1,400 events and expecting to facilitate some 6.5 million business contacts between its 220,000 expected visitors. The EMEA Power Transmission Distributors Association (EPTDA) and its US affiliate PTDA will jointly host a pavilion for their members from 1-5 April 2019. 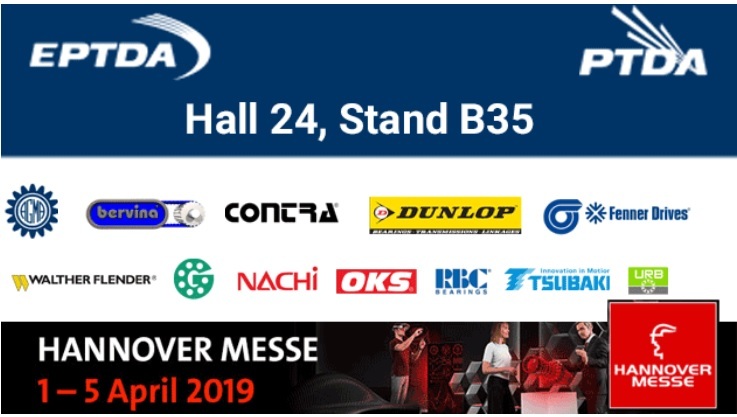 “The EPTDA-PTDA Joint Pavilion at IAMD Hannover Messe Fair continues our tradition and commitment to provide our global membership base with cost-effective, concentrated and highly visible presence at the biggest industry fair in the world. We are part of an industry where brand awareness and reputation is key to business successes. As the two leading associations of power transmission and motion industry worldwide, we aim to bring the most influential leaders together to facilitate an open dialogue, mutual respect, integrity, honesty, fairness, continuous growth and continuous learning,” said Hans Hanegreefs, EPTDA Executive VicePresident. Members of both associations will benefit from great brand awareness as one united global community exhibiting one united booth, as leaders of the international PT/MC industry. The joint pavilion – Stand B35 – expands over 300 sqm located in Hall 24 and is dedicated exclusively to member companies of EPTDA and PTDA. The members will have access to a private business lounge too, allowing them to meet with customers and EPTDA and PTDA leaders in an exclusive environment. EPTDA and PTDA will also host a special Networking Reception for its guests, on 2 April 2019 at 17:00 CET, so members and guests can meet leaders of the association. 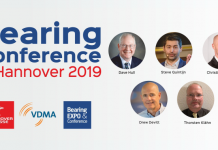 This event is cohosted by the American Gear Manufacturers Association (AGMA).